State house press aide Amos Chanda has directed Media Institute for Southern Africa – MISA Zambia board not to hold the crucial elective Annual General Meeting – AGM scheduled for August as a way of keeping the current compromised board led by Hellen Mwale. Right now they are in a board meeting at which they will pass a resolution not to hold the AGM citing article 31, state of emergency as the reason and expect to feed that trash to the membership. Chairperson Hellen Mwale and two other board members met Chanda’s Wayaya (Den of Scandals) lodge at which they were given some money and directed that they should stop the AGM from taking place after noticing that their plan to reinstall Mwale have failed. “They met yesterday and envelopes exchanged hands. Initially the board meeting was supposed to be held on Saturday but because but they brought it to today. 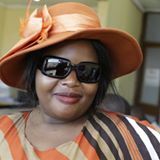 State house and PF have sponsored Hellen to re-contest the position and she has been gallivanting campaigning but after she realised that she has no chances of winning the only option is to avoid the AGM,” said the source close to the scheme. The PF interest in MISA is that they want a user friendly characters so that when the government starts cracking down on media outlets hosting divergent voices there will be no condemnation from any media advocacy body since PAZA is already dead with PF cadre Patson Phiri as Executive Secretary. Though Hellen and two other members are the main drivers in this selfish scheme, other board members are unaware of the scheme and opposed to the idea to cancel the AGM this year. Last year the board survived an impeachment when they cancelled the AGM at the eleventh hour and this has angered some of the donors who have threatened to reduce funding to the organisation. The following is the board composition and in subsequent articles we shall explain the roles each of them has played, who is in the scandal and who is clean: Daily Nation reporter Hellen Mwale, University of Zambia lecturer Elizabeth Mweene Chanda (wife to Judge Charles Chanda who is handling HH’s treason case), Freelance journalist Wilson Pondamali, Radio Phoenix news editor Hyde Haguta, Catholic Media official Fr. Freeborn Kibombwe, Beatrice Mulamfu and Sarah Banda (Board Lawyer and Treasurer seconded by LAZ and ZICA respectively).